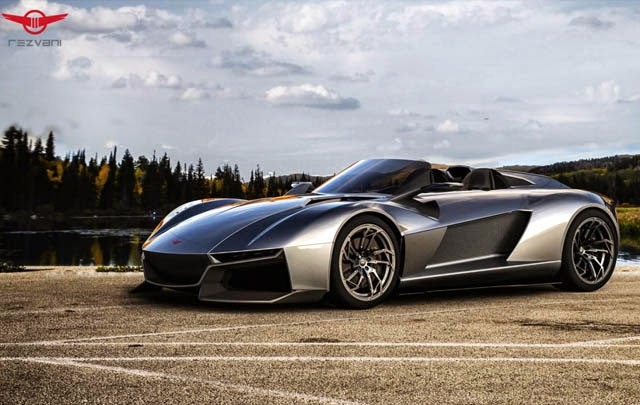 Rezvani Motors, a California-based automaker, recently released the official specifications and pictures of the Beast, their latest Ariel Atom-based supercar. 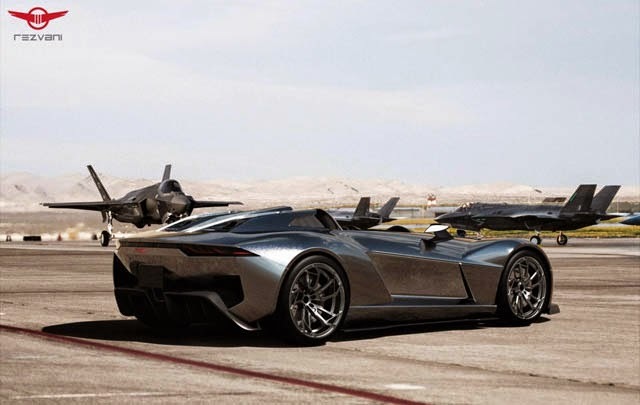 Rezvani Beast is offered in two versions, measuring 315 hp and 500 hp. Reporting from Motor Authority, the Ariel Atom has long been fans of street racing craze, but the design is really minimalist substantially reduce its appeal. Rezvani Beast aims to change that, with the dramatic exterior styling that bridges the gap between the track star and supercars. Despite having a body made of carbon fiber, but Rezvani Beast was not much increase the comfort factor though removable windshield pinned him definitely has more value for those who like long-distance tracks. Rezvani Beast 300 equipped with a turbocharged four-cylinder engine that has a capasity of 2.0-liter, which boosts power to 315 hp (235 kW). Weighing just 1,470 lbs or about 666 kg, the Beast 300 can accelerate from 0-60 mph in just 2.9 seconds. Meanwhile, Rezvani Beast 500 supercharged carrying an engine which has a capacity of 2.4-liters, which can generate power of 500 hp (372 kW). Beast 500 is able to sprint from 0-60 mph in 2.7 seconds, with a weight of only 1,550 lbs or 703 kg. This engine combined with a 6-speed manual transmission with limited-slip differential that deliver power to the rear wheel. Powerful engine for both models Rezvani Beast built by DDM Works, a specialist tuning company cars Ariel Atom. Rezvani Beast 300 priced at U.S. $119 thousand or approximately Rp. 1.37 billion, with special rates starting from U.S. $99,500 (Rp. 1.14 billion) for the first two cars. For the Beast 500, priced U.S $139 thousand or approximately USD 1.6 billion, with a special price of U.S. $124,900 (Rp. 1.43 billion) for the first two cars.